Our prices are in British pounds (GBP), but we can take payment in Euros (EUR) too via bank transfer or credit / debit card. Please contact us for the euro amount for your booking and details on how to pay. Price above includes linen & towels and end of stay cleaning. Select the number of guests above or on the next page to calculate tourist tax, which includes guest cards for free public transport within Chamonix valley. More questions? Call us, we're here to help! Les Sonnailles apartment is a contemporary duplex apartment which is great for up to 4 people, with 2 bedrooms - one master bedroom with ensuite shower and sink, and a second bedroom with twin beds. Both bedrooms have skylight windows and mountain views. In addition to the ensuite, there is a family bathroom with bath, shower attachment, sink and toilet, plus a second separate toilet. Les Sonnailles apartment has an open plan with kitchen, dining area and lounge leading onto a sunny south-facing balcony with fantastic views of Mont Blanc and Les Bossons Glacier. It has satellite TV including English channels and DVD player, plus wifi internet access. There is also a washing machine and dishwasher. The property is located in Chamonix and only a few minutes from the very centre of town, the ski lifts, the sports centre, swimming pool, restaurants, supermarkets and all the amenities of Chamonix, making it the perfect base for a Chamonix summer holiday as well as in winter. There are 2 private underground parking spaces for cars in the basement, plus a ski locker and bike storage room. The apartment is situated on the first floor of the building and there is lift access for your convenience. If you don't see something here you need for your holiday contact our Resort Team to see if it's listed on our property inventory or if we can rent one for you. Address: Villa Sonnailles, 411 Avenue de la Plage, 74400 Chamonix. Les Sonnailles apartment is located in Chamonix town, just a short walk from the heart of the centre. In the winter you are close to the Savoy nursery ski slope which gives access to the Brevent-Flegere ski area via a drag lift. There is also a bus stop just over the road for easy access to the other ski areas in Chamonix valley. You're also in a prime location for a Chamonix summer holiday, with the swimming pool and aqua slides, water-rafting, tennis club, mountain biking and river walks all on your doorstep. The nearest supermarket is only 400m away at the start of the pedestrian high street where you will also find all of Chamonix's shops, restaurants and bars to enjoy. 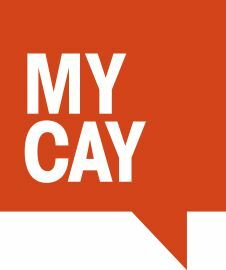 All Chamonix All Year guests are invited to join myCAY, our loyalty programme which gets more rewarding the longer you’re with us. Once you have booked to stay with us, as a valued guest you can join to unlock a host of benefits and rewards, including money can’t buy services, discount exclusives and the best of Chamonix All Year for all the family and friends to enjoy too. The more you stay, the more rewards you get, and as you move up the tiers, some of the benefits include free upgrades such as free early or late check-ins and check-outs. Normal check-in time is from 5pm to 9pm. Normal check-out time is by 10am. If these times don’t suit your holiday arrangements, you can book our flexible early check-in / late check-out service (subject to availability). This must be booked with us in advance, and may be subject to a fee of €25 for apartments and €50 for chalets so that we can prepare the property in time. Check-in is possible until midnight, but please try to arrive before 9pm. For those arriving after 9pm there is a 30€ late check-in fee, which must be paid on arrival at your Chamonix Accommodation. Travel cots & high chairs / booster seats can be hired through us for £35 to include cot mattress, bed linen and a towel. You can add this to your booking at the time of booking. Pets are unfortunately not allowed at this property. Bikes can be stored in the underground parking area on the private parking space allocated to the apartment. One set of bed linen and towels is provided at your accommodation for your stay. If you are staying for 2 weeks or more you will have a mid-stay linen change. Mid-stay cleaning can also be added at an extra charge - speak to the Resort Team or book on our Resort Shop. Tourist guest cards will be given to you on arrival to give you free travel on the local train and buses and more. End of stay cleaning is included at your accommodation, but we do expect you to follow our check out instructions on departure. If you prefer you can book an additional cleaning service. If you can’t see what you need to know please see our FAQ section for lots of other useful information, or email us with your specific questions. Or you can email our Resort Team who are based in Chamonix or telephone +33 481 68 01 04 for advice on any of the above services and much more. At the bottom of the Savoy slopes, the brand new (2018) Hotel Folie Douce will be hosting daily après ski sessions in their underground party bunker where the clients of the hotel mix with locals and tourists alike. The fun begins at 4pm and ends at 8pm, making it an ideal early evening pit-stop on your way back to Les Sonnailles, especially if you have been skiing the Brevent pistes above. Great apartment in a good location. We had a great stay in the apartment, it was clean and well equipped and in a good location with great views. Thank you for your review, we are pleased to read that you found the apartment to be in a great location and that you enjoy the amazing views from the apartment, we do hope to see you again another time. Thank you Chamonix All year, for our amazing two week stay in a great apartment Les Sonnailles. The apartment was very clean and provided all the facilities we required. We had a warm return welcome from your representative. this also included a bottle of Processco which was very appreciated. The location of this apartment ensured we could access walks, hikes and all that Chamonix had to offer including restaurants, cafes, bars and supermarkets. This is a great apartment for couples and families and I would highly recommend it to all my friends and family. Thank you for staying with us, it was a pleasure to meet you and we look forward to welcoming you back for your booking with us next year in the same apartment. Thank you for staying with us, it was a pleasure to meet you and we hope to see you again in the future! We stayed as a family of four with two adult children, was pretty much perfect for us in terms of space, fittings and location. Underground car park good with plenty of space although of course had to take the roof box off to get in :-) Beds and furnishings were comfirtable and in good condition, kitchen quite well equipped although no microwave (which didn't bother us). The only thing we would change would be to have a little more worktop space in the kitchenette area. Would definitely stay again. Excellent location (quiet but walking distance to centre of Chamonix). Very comfortable apartment, parking spaces were a real plus. Thank you for staying with us again, it is always a pleasure to see you again and we are looking forward to seeing you again in 2019. We have stayed at this apartment a few times over the years and always had a great time. Location is close to the town centre but in a quiet road, which is always appreciated. The apartment is clean and roomy, with an absolutely excellent view of Mont Blanc from the balcony. We love it and have booked again for 2018! Thank you for reviewing your 4th stay with us in Les Sonnailles Apartment. We're delighted to hear that you enjoyed it as much as during your previous stays, and we're looking forward to welcoming you back again next year! great accomodation with excellent location and service. Very comfortable apartment in a great location, close to the town centre but in a quiet street. Excellent customer service with lots of information provided at arrival. Greatly enjoyed our time in Chamonix. Thank you for your review of Les Sonnailles Apartment. We are very pleased that our team could help you make the most of your stay and that you enjoyed the central location. We do hope to welcome you back again soon! Good location but the Carpet and one black cover are dusty and make me caughing. It is worth to stay. Thank you for reviewing your stay with us in Les Sonnailles Apartment. We're pleased that you enjoyed the central location. We apologise if on this occasion the cleanliness fell short of our high standards, and we will ensure that this does not happen again. We are glad that you would recommend it to other visitors and hope that we might see you here again in the future. I guess nice view from the deck of the apartment, unfortunately it was not so good day during my stay of 1 week. Summits of Mont Branc came out short time when sun was in a goog mood. Location is excellent, such as no cloudy but not so far from city center. Thank you for reviewing your stay with us in Les Sonnailles Apartment. We're sorry to hear that you didn't have perfect weather during your stay, but that you still made the most of the central location. We hope that you might come back in the future, and hopefully have better weather! Our second stay in this apartment. It was spotlessly clean and we were pleased to discover a small bottle of milk in the fridge on our arrival. The apartment is extremely well furnished and comfortable with a spectacular view of Mont Blanc and the Aiguille de Midi from the living room/balcony. It is convenient for the shops and restaurants but far enough away from the bustle and crowds to be peaceful. if you have a car the parking is very good. We love Les Sonnailles and Chamonix! Thank you for your lovely review of your second stay in Les Sonnailles Apartment! We were pleased to welcome you back and that the apartment suited you as well as last time. We hope to see you again next year. It was nice to stay there. Just a few walking minutes to the pedestrian street. Enough facilities to have a meal at home, but its also worth to taste french cuisine at local restaurants. Thank you for reviewing your stay with us in Les Sonnailles Apartment. We are very glad that you enjoyed the facilities and the choice of restaurants close by, we hope we'll see you again in the future. A wonderful return trip to Chamonix, in the snow this time. Our third trip to Chamonix and this apartment. Everything went well and we had a wonderful skiing holiday. Thank you for reviewing your third stay with us in Les Sonnailles Apartment. We were very happy to see you back again and hope we'll see you back for a fourth visit soon! Just a 5 minute walk into town with great views of the mountains from the lounge. Spacious and comfortable. Very satisfied, but a microwave oven would be a useful addition perhaps? Very helpful staff at Chamonix All Year. Thanks for a lovely stay! We (couple and young adult daughter) stayed at the apartment at the beginning of September. We found it perfect for our needs. The accommodation was comfortable, spacious and well furnished. We had access to all that we were looking for and it was easily maintained. The flat offers immediate access to the town, the sports facilities, buses and the mountains.......what more could we ask really. We were transported to and from the airport by Marcus, who provided a prompt and efficient service. We were welcomed by a representative from the company who was readily available when we forgot what we had been told! We would certainly recommend this company and the apartment for people like us (maybe not for those who are looking to party late, as this is definitely a residential area) and hope to return one day. Thank you for your lovely review of your stay in Les Sonnailles apartment. We're glad that you found everything you needed and that our team could help you make the most of your stay - we'll make sure to pass on your lovely feedback. We hope to see you back again in the future. Great from start to finish. From being met by the Chamonix All Year team, who showed us around the apartment after we'd arrived early in Chamonix, to the simple departure arrangements, we'd have no hesitation in returning. Great comfy beds and sofas. Constructive feedback would be to say that the balcony furniture could do with being updated as it was a bit worn and wobbly! Also it's worth noting that the kitchen area does lack some preparation space and a microwave may have been a useful addition if space could be found. We've stayed in several places in Chamonix before and Les Sonnailles is definitely towards to top. This coupled with competitive pricing means the accommodation is excellent value and on balance we'd happily recommend it to anyone wanted to stay in Chamonix in a quiet yet central location with great views. Thank you for reviewing your stay with us in Les Sonnailles Apartment. We are very pleased that you enjoyed the central location and the views as well as the comfy furniture, and that our team could help you enjoy your stay. We will certainly bear in mind your feedback for future improvements to the apartment, and hope to see you back again soon! Great quiet location close to button lift, hire shop, & town centre. Modern warm & comfy accommodation. A little bit small but fine if you're out skiing all day. Everything works nicely: DVD, bluetooth speaker, dishwasher, washing machine, TV, WiFi, Ski locker, Lift, code access to front & back door. Nice large balcony too. The twin room has a low ceiling that 6 footers need to be wary of, it's a little small but we shared wardrobe space with double room. No loo in double room ensuite. Great location close to button lift, hire shop, & town centre - yet also quiet. Bus stop 5 mins walk away. Tip: ask at hire shop for sneaky shortcut to the button lift (opposite). Thank you for your review of Les Sonnailles Apartment. We are happy to hear that you enjoyed your stay and that you found the apartment well-located and well-equipped for your needs. Thanks for the tip for future guests too! We hope to see you back again soon. Lovely, well located apartment in Chamonix. The bedrooms are spacious and personally I loved the firm mattress.There is a well equipped kitchenette where you can make simple meals while chatting with your companions. After hard days on the slopes, the English TV channels made those evenings very comforting!The view of Mont Blanc is captivating, a real bonus of staying here.CAY are a top notch organisation, I was delighted to find them while booking this apartment. They made everything very easy for our skiing holiday.One final thing - the boulangerie around the corner is wonderful. Amazing, fresh, warm baguettes and croissants for breakfast every day. What a treat! Thank you very much for your lovely review of Les Sonnailles apartment. We are very pleased to hear that you enjoyed the facilities and central location of the apartment, as well as the fabulous views! Thank you for your kind words about our team, we were very happy to help and hope to see you again soon. We've stayed in Chamonix many times before but never on this side of town despite it still being very central. What we gained (vs the past) was an additional bedroom (2 in total) and underground parking that proved invaluable and allowed you to leave you equipment in the car without a worry. The apartment had a terrific view of the glacier and any paraponters, and the skylights in the bedrooms permitted great star gazing until the snow obscured the view (thankfully by the time it arrived - much needed snow!) We were able to extend our stay 2 days to make use of the late snow and the office staff were excellent in accommodating our request. Like the new office position too! Thank you for your lovely review of Les Sonnailles apartment. We were delighted to welcome you back again to Chamonix and are very pleased to hear that you enjoyed this year's apartment choice! It's great that you enjoyed the views of the Glacier des Bossons and even some star-gazing, and we're glad that you were also able to enjoy some last-minute snow! We hope to see you again next year. Absolutely lovely, comfortable apartment, furnished to an excellent standard with views of Mont Blanc from the living area windows and even from the Velux window in the master bedroom if you're tall enough!! Comfortable beds with spotless bed-linen and towels. Every area of the apartment was clean and well presented. Very well equipped kitchen with the only slight drawback being a bit of a lack of work surface. The only real aspect that we felt would have been a help - for less agile visitors like ourselves - was an extra form of hand-rail on the staircase.Every member of the Chamonix All Year team was unfailingly helpful and friendly - even with complicated requests from our particular family!! !We would certainly rent again and would without a doubt recommend Chamonix All Year as the company to rent with. Thank you for your lovely review of Les Sonnailles Apartment. we are very pleased to hear that you enjoyed your stay with us and that our team were able to help you make the most of it! We will pass on your feedback to the owner and will look forward to seeing you again in Chamonix soon. Thank you for your lovely review of Les Sonnailles apartment. We're glad that you enjoyed the beautiful views from the balcony and central location. We're sorry to hear about the problems that you experienced with the TV, as we weren't aware of these during your stay. We will ask our maintenance team to look into improving this for future guests. We do hope to see you again in the future. We had a great time in Chamonix. The apartment is excellent and in a good location for all the attractions, shops and restaurants. The customer service and welcome was very good. Thank you. Thank you for your great review of Les Sonnailles apartment and of our Chamonix Resort Team. We are very pleased that you enjoyed your stay and hope to see you again soon. Our second stay at Apartment Les Sonnailles with no disappointments. The apartment was as we remembered it from the previous year, comfortable, home from home and in the perfect location to explore Chamonix. Chamonix All Year couldn't have made us feel more welcome and offered there experience of knowledge of the area and recommendation of bars and restaurants around. We have enjoyed our two weeks, very sad to leave and return to the Uk. We couldn't think of any other place we would prefer to stay on holiday and hopefully are able to return to this amazing apartment. Thank you again Chamonix All Year and hope to see you again next year. Thank you for your lovely review of Les Sonnailles apartment and of our Resort Team. We were very pleased to welcome you back and are delighted to hear that you enjoyed your stay as much as last year! We very much hope to see you again next year. A very enjoyable week in Chamonix helped by the excellent accommodation which is ideally situated close to the town and transport. It is a quiet location. Thank you for your review of Apartment Les Sonnailles. We're glad that you found the location peaceful and convenient for Chamonix town centre, and hope that we'll see you again in Chamonix soon. The apartment is well situated only 5 minutes from a bakery and a few good restaurants and ski hire. The pedestrian footpath that runs next to the apartment & river is useful for getting into the centre of town in under 10minutes. The apartment was clean throughout and all the amenities worked well (TV, wifi, cooker, heating). There is a useful lift between floors in teh building. A ski-locker is available to use in the basement for safe & easy storage of equipment. 5/5 - Stayed in this amazing apartment for 2 weeks through Chamonix ALl Year. We have stayed in Chamonix for eight years and have struggled to find a location which ticked all the boxes. This apartment provided the view, the facilities, quiet location suitable for couples and young families. Very clean and welcoming items such as milk on arrival. The company also supplies a free travel pass to local areas via train or bus which was used frequently. The staff at Chamonix All Year were helpful and friendly. During our two week stay a change of bedding, towels and kitchen tea towels was very appreciated. We were so impressed with this apartment we have already booked two weeks for next year. Thank you again Chamonix All Year. Highly recommend. Two amazing weeks holiday thanks to Chamonix All Year. Great accommodation, friendly supportive staff and breathtaking location. The apartment couldn't have been more convenient. Local to restaurant and bars, quiet in the evenings and the facilities were more than I expected. On our last day we decided to rebook for the following year for same time and apartment as we felt sad saying goodbye. Very efficient process and excellent accommodation in a good location. We really did love this apartment and what it had to offer. One of the highlights was definitely the location. So close to the recommended Ski Hire shop, the beginner slopes, the shops and restaurant, the train station, the bus. We were one couple, but the extra bedroom was valuable for our luggage or if one could not sleep well at night. And of course we really enjoyed the balcony which has an incredible uninterrupted view, and afternoon sun if there is any around. We would return for sure. Overall, very satisfied with our first visit to Chamonix. CAY delivered on every promise made, including our transfers, were attentive and responsive in the build up to the holiday and answered any query during our week's stay. I could not see us staying in any other apartment than Les Sonnailes when we return to Chamonix. Perfect location, perfect view and a peaceful night's sleep, being just on the outskirts of the town. Highly recommended. 5/5 - This property ticked all the boxes for us. Quiet, being just outside the centre but walkable in 5 minutes, in a peaceful residential area and with a tremendous balcony view of the Mont Blanc massif. Facilities in the open plan Lounge/Kitchen more than adequate, with two spacious bedrooms spread across the entire top floor. Bathroom and Shower room beautifully appointed, with the shower in particular one of the best we've used. Great touch to be able to tune in to some British TV now and again. The CAY team are a bit special, were responsive throughout and I would also recommend their airport transfer system, which makes the entire experience all the smoother. We'll be back for sure. The property les sonnailles was brilliant very spacious and a nice apartment to come back to and chill out after a day on the slopes. Also the wifi was an excellent addition to have! 5/5 - We spent two weeks in Les Sonnailles during the Christmas break. The accomodation is as posted, very nice, clean, well equipped. The location is fantastic, very close to sky slopes (our children was 4 years old and we went by foot) as well to city centre (5 minutes along the promenade). Thoroughly enjoyed our stay at Apt Les Sonnailles. Lovely apt, more than enough room for 2 of us, nice quiet location, a few minutes walk to town centre, underground secure parking, fantastic view in a well maintained apt block. Would definitely recommend it. 5/5 - This was an excellent apartment with plenty of space for a family of 4 to relax and enjoy all the amenities of Chamonix. It had stunning views over to Mont Blanc from the lounge and sunny balcony. In a quiet location within the town and yet was only a few minutes walk to the shops and bus stops/railway station etc. Our boys appreciated the free Wi-fi in the apartment and it was generally very well equipped. Chamonix was an ideal location for an active family holiday with wonderful walks, cable cars and excellent sports centre nearby. This was our first visit to Chamonix and won't be our last! Apartment Les Sonnailles was a perfect location, being peaceful and with fantastic views, yet near the centre of the town. The apartment was clean, extremely comfortable and perfect for our family with 2 teenage boys (Wi-fi was particularly appreciated!) We made the most of the lifts and cable cars up and down the valley, enjoying the superb walking and scenery. A great holiday and we would have no hesitation in booking with Chamonix All Year again. We found the accomodation to be just as advertised. Clean with plenty of equipment, superb views and with excellent parking. Our arrival time was unkown as we were driving, but the team were very happy to meet us on arrival, whatever the time. Chamonix has a huge choice of activities, all age groups can be kept occupied. We were lucky to have a week of hot sunny weather, a bonus. Chairs on the balcony would have been nice though, given the good weather. We will definately visit again. We enjoyed our stay. The apartment facilities and location are fabulous. A thoroughly enjoyable stay. Accommodation was excellent and its location was first class. our car was in the garage unused for the whole week because we were able to walk everywhere. the overall service from the staff was top rate. Excellent location, outstanding views, underground parking a bonus. Comfortable and well presented accomodation. It's spot on, great location and perfect for a family of 4.